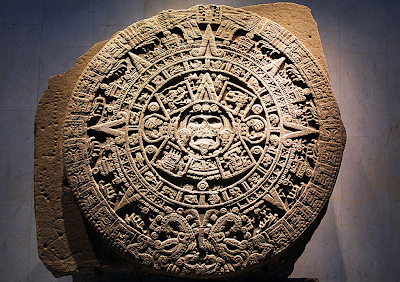 The Mayan or Aztec calendar that has been popularized (due to 2012 end of age tales) was carved and dedicated to the principle Aztec and Mayan deity — the sun. This carving is less of a calendar, in my opinion, and more of a cosmological depiction of the inner realms of planet Earth. I do agree that the stone has some significance or connection with the sun, though it would be the inner not the outer sun based upon many similar depictions of sun stones and solar wheels. First, the Aztec deity is portrayed as an anthropomorphic sun deity in the center of the stone tablet. This depiction is complete with solar rays emanating outwards and the face of a man-like god. This image of a sun with a human face indicates a sentient presence in the central, inner sun that is worshiped as a deity. The next interesting detail is the two serpents surrounding the carving whose tails meet at the top and their heads come together at the bottom of the disk. These serpents have human faces in their mouths which could indicate a preternatural reptilian being with humanoid characteristics. This can also be interpreted as a throwback to the draconian beings of the subterranean realms which consume human flesh (also depicted by the serpent 'Biscione' of the House of Visconti or City of Milan — Alfa Romeo emblem). Whatever interpretation we come to for the serpents, they easily represent the shell or crust of the earth and at the same time leave an opening in the upper and lower aspects of the carving — just as there are voids in the northern and southern extremities of the planet that lead to the inner realms. There is a book by Johannes Lang 'Hohlwelttheorie' published in 1938 ('Theory of Hollow Earth') that presents hollow theories since Copernicus and latest 1930s physics. That is the best scientific book on the subject of hollow earth that I have read. 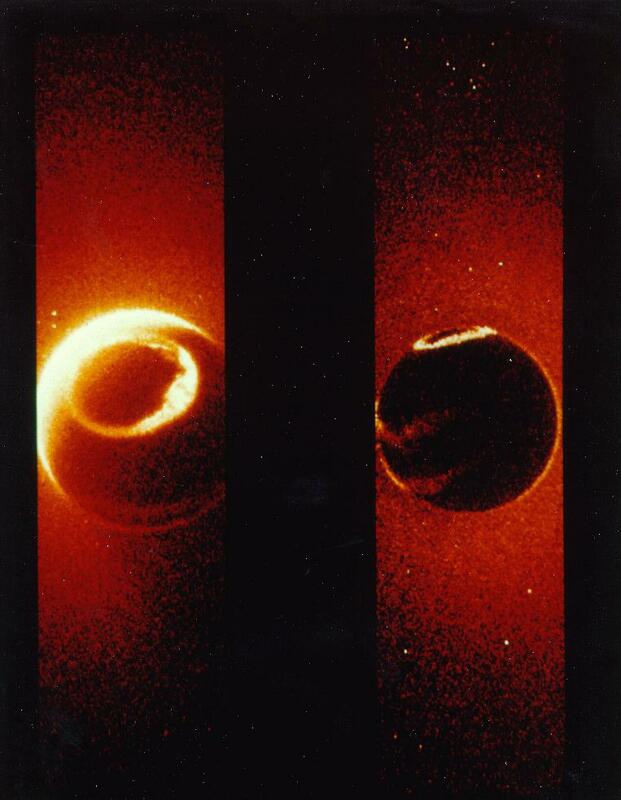 For those who might be interested, I wrote a post called “Why are there super earth and volcanoes in Japan?” on my geology blog.